Facebook’s scheduling feature is undoubtedly a perfect solution if you don’t spend your entire day online and if you have a rather packed agenda, but are still constantly aware of the crucial need to maintain a presence on social media. This feature comes in handy if you are planning to be away from your desktop for a while, as it actually saves the trouble of going into Facebook once or even several times a day. It allows you to prepare your usual, eye-catching, thought inspiring content beforehand, lining it up according to your content calendar. 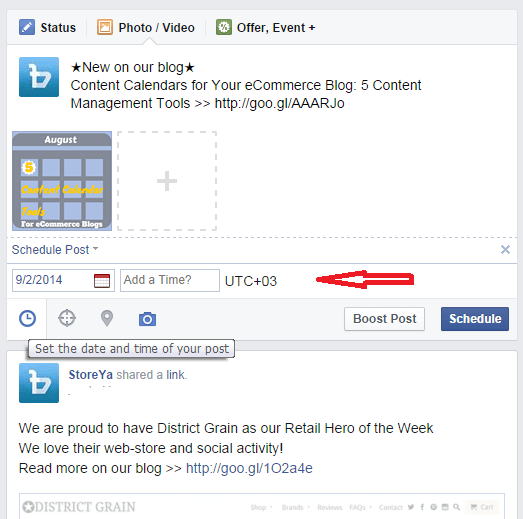 All you have to do is type your post as you normally would, configure your settings and click “Schedule”. It’s as easy as that. Facebook’s scheduling feature lets you choose the date and time of day for posting, as well as your target audience and a desired location. Having typed in your update, you can add a link, image or video to accompany the text. It is possible to include an image from the link source or to upload an image of your own. In case you wish to include an image from the source site linked to your post, you can use the arrows conveniently located in the top left corner, which allow you to browse and choose the appropriate image from that particular site. Further customization is available with relation to the title and description of the update, which can be changed according to your need. 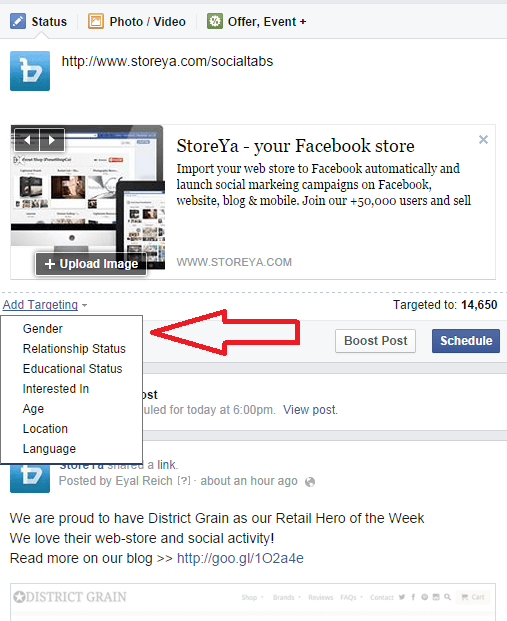 Naturally, you can also make use of Facebook targeting ability by clicking on the targeting icon and selecting the desired options. 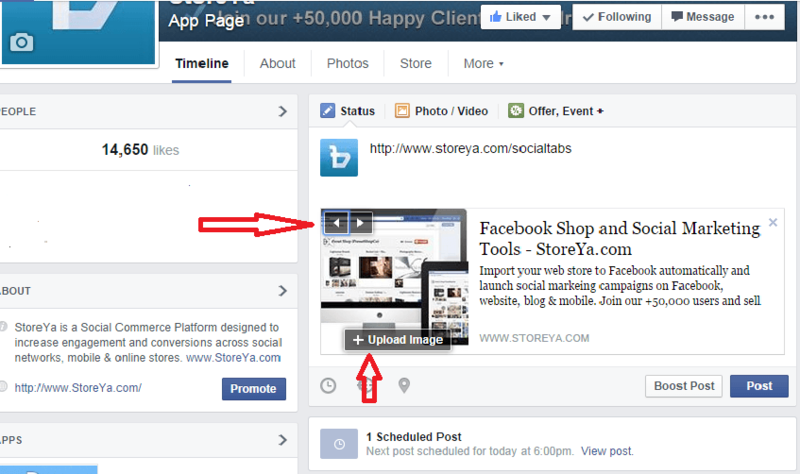 As for location, just click on the map pointer icon to define geographical boundaries for your post. Last but not least, add the year, month, day, hour, and minute you want to schedule your post for and once your satisfied, Click Schedule. As we all know, it’s only human to err – and Facebook posts are not excluded. Let’s say you have made a mistake, and wish to edit your scheduled post. At times, you might also want to reschedule your post. Well, that’s also easily done. All you have to do is access your activity log, locate the relevant scheduled post, hover over it and click on the little arrow located on the top right corner. From the drop-down menu, choose either Edit or Reschedule. Mind you – it’s only possible to edit the main text of the post, not its image or link (in order to change those, you actually have to delete the post and then retype it and reschedule again). As we all know, social media environment is a dynamic one. Even the most meticulously structured plans can – and should – change to accommodate unforeseen developments. Facebook allows for great flexibility in this case, and lets you even change course and choose instant publication of a scheduled post. Once you locate your desired post on the activity log of your page, just click on the small arrow on the right and then select Publish Now. 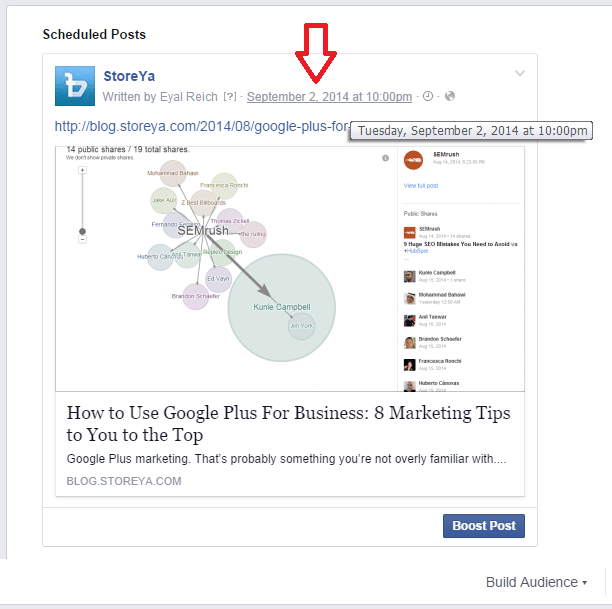 What about sharing your scheduled posts? Well, Facebook will forever be Facebook – sharing is its lifeblood. You can share your scheduled posts by locating your post on the activity log and clicking the timestamp at the top right of the post in order to open the post and copy the page url, ready for sharing. 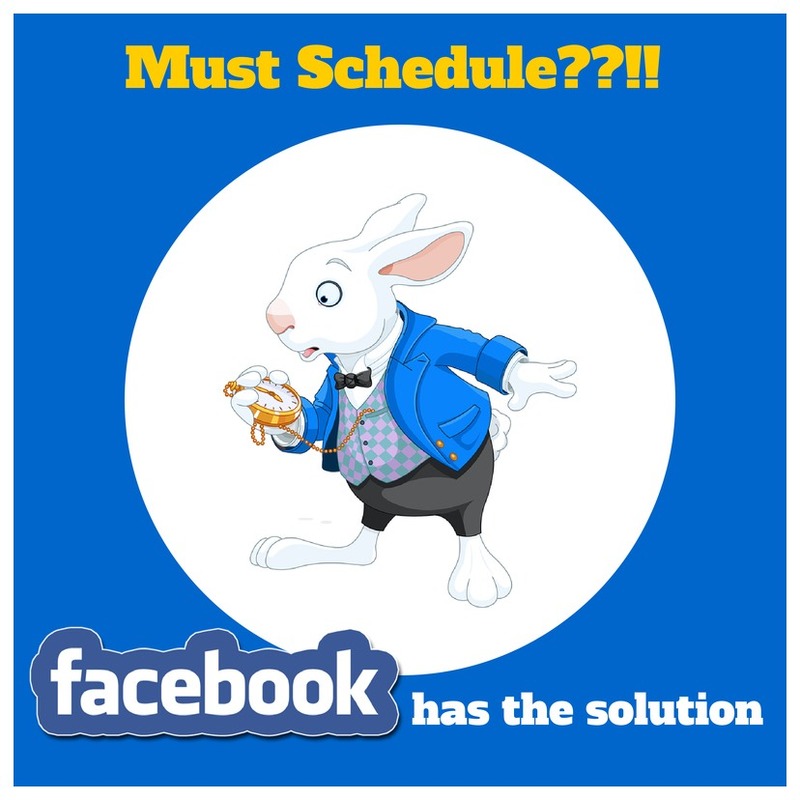 Scheduling posts is, in fact, Facebook made easier for busy business owners. You might even say it allows you to GET AHEAD OF TIME. In a dynamic, rapidly changing environment it is just one feature which creates a sense of certainty and allows for planning ahead. Naturally, you still have to closely monitor activity on your page and be prepared for a change of schedule should the need arise. 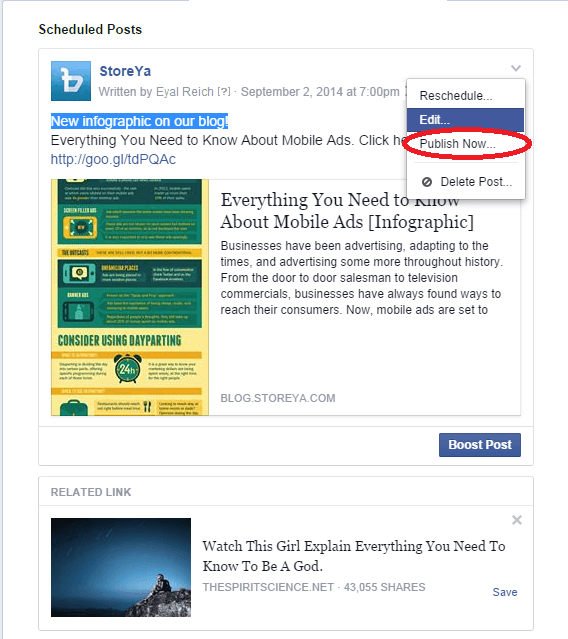 After you publish the post you can extend your target audience by using Facebook ads! Before you do that I highly recommend you to read the following posts 6 steps to successful Facebook ads and 7 Tips on How to Write Killer Call to Actions for Facebook ads. Good Luck! Keep us updated on your success.